This module is now end of life and given the altitude limit can no longer be considered suitable for High Altitude ballooning with the newer latex balloons. 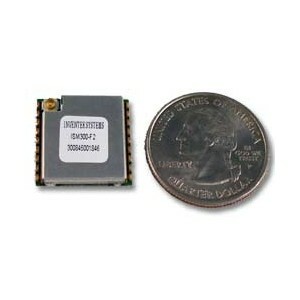 SiRFstarIII™ 20-channel GPS SMD compact module/receiver with enhanced high altitude power saving modes. The ISM300F2-C5-V0004 module is programmed with HIGH ALTITUDE BUILD, ceiling 135,000 feet, and works at cold temperatures for balloon applications.